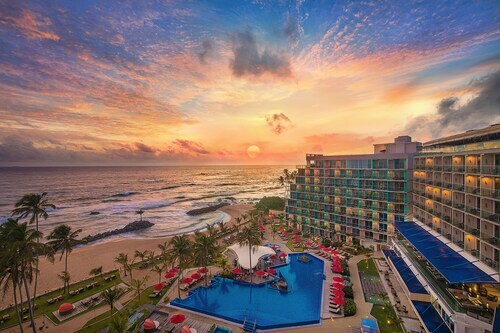 Lock in a Galle vacation package on Expedia right now! This is one of the best ways to save money and time for your epic vacation. Our impressive international database features more than 321,000 properties worldwide and 400 partner airlines. With such a terrific range of options, organizing your dream vacation will be easy! If you change your plans, we'll honor your cancellation request on almost all reservations with no added fees. It can be quite pleasant to just stroll around the streets when you're somewhere new, but sometimes it's a good idea to have a plan. 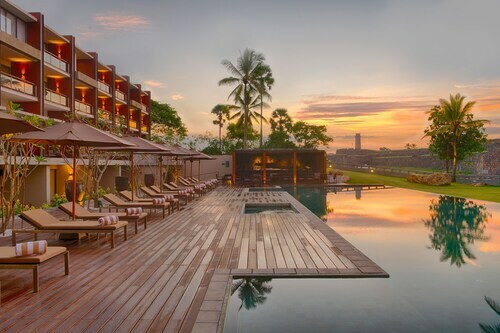 Grab your travel schedule — we have lots of awesome ideas for your impending Galle vacation. Galle Fort guarded the region from invaders for years. Make your way to this formidable stronghold and learn about its place in history. There's an excellent range of things to do in this destination. Water travel revolutionized the world and remains a key component of our global economy. Spend some time at National Maritime Museum and be educated about seafaring history. Still got some time on your hands? Many have said that knowledge is power. With that in mind, you're sure to feel a bit more powerful after spending some time at Galle National Museum. Going on a break is about so much more than just seeing different places. It's all about the things you can do while you're there. To view the full range of activities, jump onto our Galle things to do page. Wind up your day of fun adventures with a nice comfy bed and a snuggly pillow. 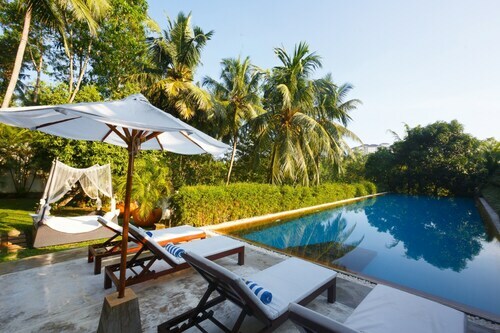 Scroll through the 131 properties in Galle on offer via Expedia and pick one for your luxury getaway or cheap vacation. 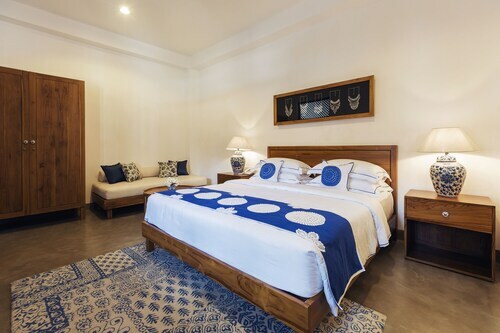 Valet parking, pillow-top beds and top-notch furnishings are just a few of the things you can expect to find waiting for you at The Frangipani Tree By Edwards Collection (812, Mihiripenna) and the Elysium (776/2 Galle Matara Coastal Road). Book a room now for a taste of the good life! After somewhere cheaper? The Surf City Guesthouse (274/5, Parangiyawataa) and the Summer Dew Villa (109, Kahawennagama, Talpe) are a couple of places that won't put a dent in your bank balance. We don't think the airport is going to be the most enjoyable part of your getaway, but there's nothing like the thrilling feeling of knowing that your well-deserved trip to Galle is just a flight away! Once you unbuckle your seatbelt at Koggala Airport (KCT), you'll be 8 miles (13 km) from the middle of town. Located in Galle, this beachfront hotel is in the historical district and within 3 mi (5 km) of Galle Fort and Galle Clock Tower. Galle International Cricket Stadium and Galle National Museum are also within 6 mi (10 km). Located in the heart of Galle, this luxury hotel is within a 10-minute walk of Galle Fort, St. Aloysius College, and Dutch Reformed Church. National Maritime Museum and Galle Lighthouse are also within 6 mi (10 km). 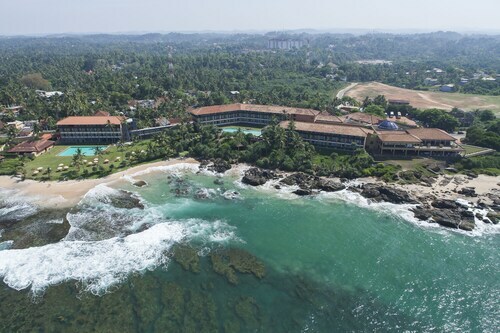 Nestled on the beach, this Galle hotel is 0.3 mi (0.4 km) from Sea Turtle Hatchery Mahamodara and 1.6 mi (2.6 km) from Galle Fort. St. Aloysius College and Galle Clock Tower are also within 2 mi (3 km). Located in Old Town, this hotel is within a 5-minute walk of Galle Clock Tower and Galle Fort. Dutch Reformed Church and Galle National Museum are also within 5 minutes. 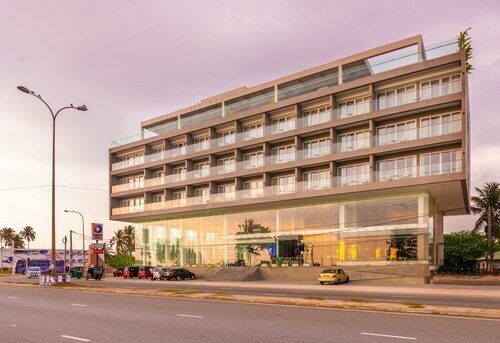 Situated in Galle, this hotel is 0.6 mi (0.9 km) from Galle Harbour and within 3 mi (5 km) of Jungle Beach and Galle International Cricket Stadium. Unawatuna Beach and Galle Fort are also within 3 mi (5 km). Situated on a lake, this luxury hotel is 1.9 mi (3 km) from Galle Fort and 2.1 mi (3.4 km) from Dutch Reformed Church. National Maritime Museum and Historical Mansion are also within 6 mi (10 km). 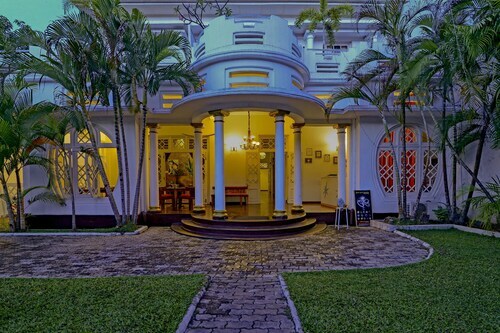 Located in Old Town, this hotel is within a 5-minute walk of National Maritime Museum and Galle Fort. Dutch Reformed Church and Historical Mansion are also within 5 minutes. 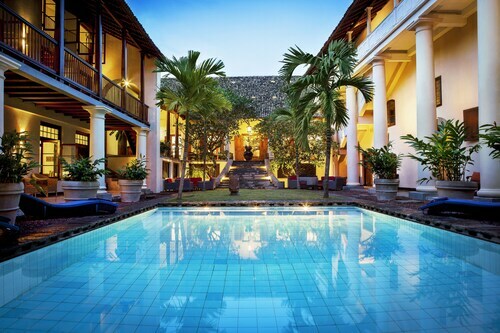 Located in Old Town, this luxury hotel is within a 10-minute walk of National Maritime Museum and Galle Fort. Historical Mansion and Dutch Reformed Church are also within 5 minutes. Wed., 31 Jul. - Thu., 22 Aug.
Fri., 5 Jul. - Fri., 26 Jul.